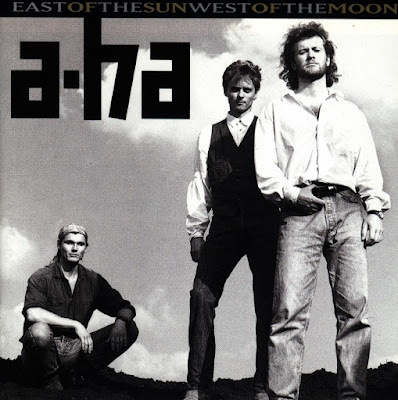 Discussions Magazine Music Blog: A-HA: The Second Coming of the Norwegian trio! A-HA: The Second Coming of the Norwegian trio! Stephen SPAZ Schnee reviews a handful of recent releases by Morten, Pal and Magne! 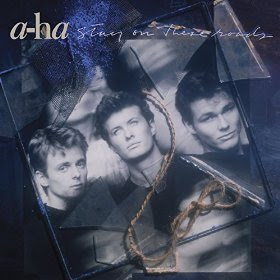 For many casual music listeners, “Take On Me” is all they really know by a-ha, the Pop trio from Norway. To be honest, I feel uncomfortable even calling them Pop since the band – celebrating the 30th Anniversary of that hit single – is much more sophisticated than “Take On Me” would lead you to believe. Their spin on Electronic music has traveled into darker territories than that hit and while their profile in the U.S. has diminished over the years, they are still highly respected and beloved in many other parts of the world. 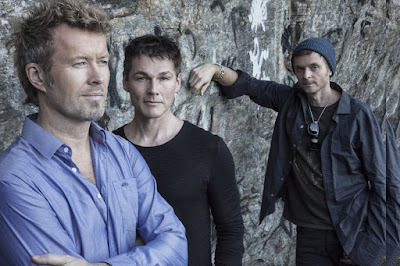 In Morten Harket, the band have a vocalist with the looks of a pin-up idol and a voice that can go from a rough whisper to a soaring falsetto in a matter of seconds – it is an instrument of pure beauty. Guitarist/songwriter Pal Waaktaar-Savoy and keyboardist Magne Furuholmen create aural soundscapes that allow Morten’s voice to flow freely within the catchy and often-times heart-breaking melodies. Anyone looking for another “Take On Me” might be a little disappointed by the lack of bubbly Synthpop tracks in the band’s oeuvre - however, their second hit “The Sun Always Shines On TV” is more indicative of their later material. The trio’s output slowed down in the ‘90s and they officially split five years ago but they’ve reunited for an excellent new album Cast In Steel and a load of reissues that are more than worth your while. First off, their 1985 debut album, Hunting High And Low, has been reissued in a Super Deluxe package that includes both CDs featured in the 2010 Deluxe Edition – the album plus remixes, demos (including a lot of previously unreleased songs) and more – plus two bonus discs of additional remixes and rarities. Not only that, you get a DVD with music videos. All of that is housed in a hardcover book packaging with loads of info, pictures and the like. A beautiful package for an album that features the previously mentioned hits plus other gems like “I Dream Myself Alive,” “Train Of Thought,” and the gorgeous title track. Whether or not you already have the 2CD Deluxe Edition, you really do need to get this. There doesn’t seem to be a stone unturned here. And to my knowledge, the 7” mix of “The Sun Always Shines On TV” is pretty rare and accounted for here. A lot of love went into this package and it shows. A deserving 30th Anniversary tribute to a fine album that has dated well. Besides, Tony Mansfield of New Musik produced most of it and his name is a benchmark of quality! Also recently released are Deluxe 2CD Editions of their albums Stay On These Roads (1988), East Of The Sun, West Of The Moon (1990) and Memorial Beach (1993). 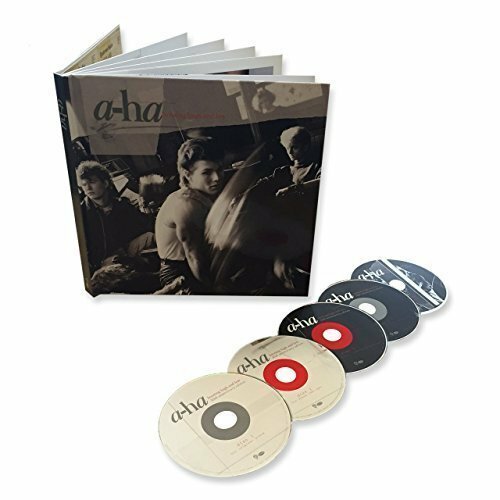 Each double disc set features remixes, demos, alternate mixes and live tracks. Stay On These Roads was a slick follow-up to their second album, Scoundrel Days, and featured the band grappling with the light and dark sides of their music, sometimes within the same song. The album’s title track is certainly one of their best, a sweeping ballad that brings out passion and emotion in Morten’s voice. It also includes the re-recording of their theme to “The Living Daylights,” which is not quite as good as the original single version but the mood of this one fits the album better. It is quite obvious the band were moving forward, musically, while managing to maintain a hold of their more accessible 'Pop' sound. Memorial Beach was a complete change of pace. Moody and brooding, the album does contain some classic gems, but the overall vibe of the album is one of complete despair. The feel-good vibes of their previous album had been trampled by muddy boots and the album sounds like a band desperate to move on from the blip-blips of Synthpop into a more serious direction. It was as if they turned their back on the Pop Music factory (MTV, Top 40, etc.) and said, “Enough is enough!” The album is a grower, one that reveals new layers with each listen. Even 23 years on, I’m still unravelling this one. Completely fascinating. The fact that the band took seven years before they came back with another album may add credence to my theory on Memorial Beach… Maybe I should do some research on it? Nah, I’m too busy listening! 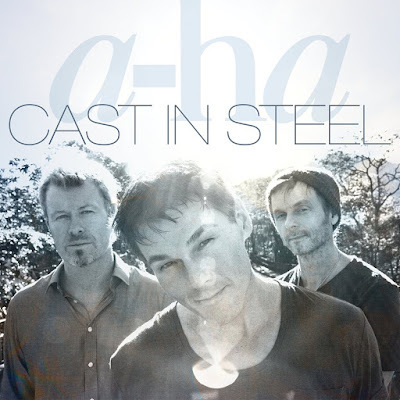 Finally, 2015's Cast In Steel is their first full length album in 6 years and it feels like the next logical step from Foot Of The Mountain (2009). Again, if you want “Take On Me”, buy “Take On Me.” Cast In Steel is filled with some fantastic material that takes a few spins before it sinks in. “Under The Makeup” is the first single although “Forest Fire” (their most ‘Pop’ track in years and the closest thing they've ever done to "Take On Me") and the title track are great ‘introductions’ to the album as well. A solid batch of songs that equals albums like Lifelines and Mother Earth Major Sky and Stay On These Roads. If it doesn’t hit you immediately, give it time. Let it sink in. 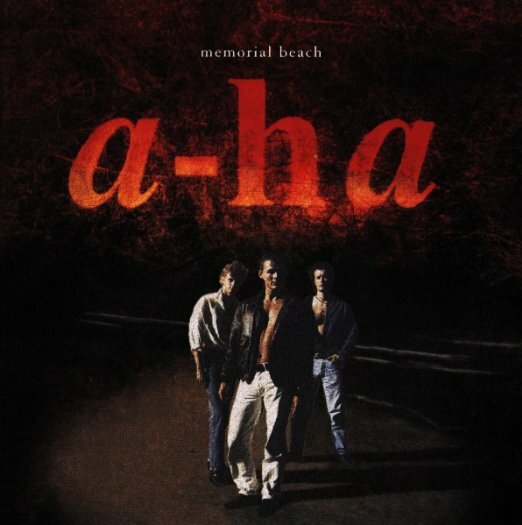 And that really has been the case with a-Ha since Scoundrel Days – invest attention and time and it will pay off. Their debut was a great album, but everything since then seems more satisfying and more enduring. a-Ha continue to write and record great material three decades on and you should really spend some quality time with these lads before they decide to slip away again.